DIY projects can be overwhelming and exhausting, but they don’t have to be. At Hard Rock, we believe you can create almost anything through determination, excellent materials, and a little bit of guidance from the experts. The excellent materials are all available at Hard Rock. 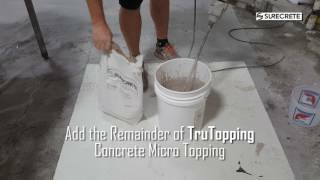 Our suppliers at Surecrete have created videos to give you a little guidance. All you need now is that determination. Take a look at some of the helpful tutorials below, and get started on your next DIY project today. If you have any questions, Hard Rock is always here to help. Metallic floor coatings are truly one of a kind; creating an ethereal shine that almost looks like glass with the subtle sparkle of crystal. 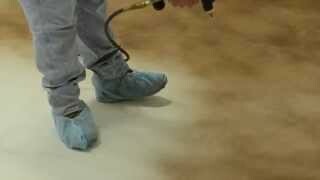 This video take you through every step of the metallic floor application process, from the prep-work to the final coat. Stains add a level of interest and depth to any concrete surface. 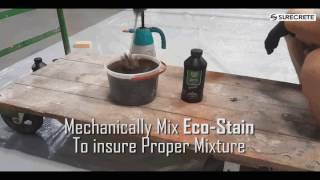 Watch this tutorial to learn how to stain your own concrete floor or driveway using Eco-Stain. 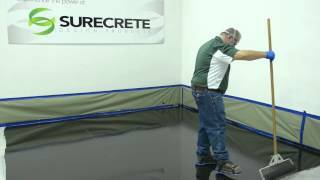 This video is you step-by step guide to Surecrete’s ECO-Stain Concentrate. Using a combination of process footage and written instructions, this tutorial is easy to follow and understand. This comprehensive step-by-step video guide shows you exactly how to mix your colour pack into an overlay. The combination of written instructions and process footage make this video unbelievably simple to follow along with.